Denmark Business. Kingdom of Denmark. Kongeriget Danmark. 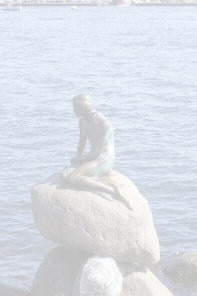 Lars Løkke Rasmussen* formally introduced his 17-person cabinet on Sunday morning. 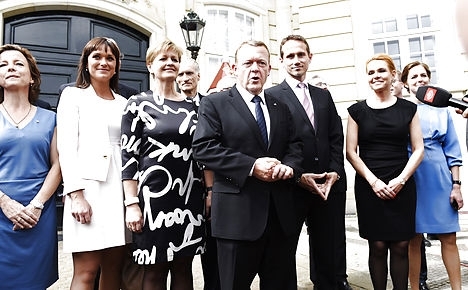 * Lars Løkke Rasmussen also released the names of his cabinet team, made up solely of members of his own Venstre party. Rasmussen decided to go it solo on Friday night after talks with other right-of-centre parties failed to reach consensus. Denmark’s new government: Prime Minister Lars Løkke Rasmussen, Finance Minister Claus Hjort Frederiksen, Foreign Minisister Kristian Jensen, Justice Minister Søren Pind, Immigration and Housing Minister Inger Støjberg, Tax Minister Karsten Lauritzen, Culture and Church Minister Bertel Haarder, Transport and Buildings Minister Hans Christian Schmidt, Environment and Agriculture Minister Eva Kjer Hansen, Business and Growth Minister Troels Lund Poulsen, Social Minister and Minister of the Interior Karen Ellemann, Energy and Climate Minister Lars Christian Lilleholt, Minister for Children, Education and Equality Ellen Trane Nørby, Health and Elderly Minister Sophie Løhde, Higher Education and Research Minister Esben Lunde Larsen, Defence Minister and MInister for Nordic Affairs Carl Holst, Employment Minister Jørn Neergaard Larsen * Rasmussen was selected to become prime minister following the June 18 election despite Venstre finishing in third place with 19.5 percent of the vote, behind Helle Thorning-Schmidt's Social Democrats and the far-right Danish People’s Party (DF), which saw support jump to 21.1 percent from 12.3 percent. Despite the poor election performance, Rasmussen became PM due to the support of DF, Liberal Alliance and the Conservatives. With just 34 mandates, the Venstre government will be Denmark’s smallest since 1973. That government, led by Venstre’s Poul Hartling, had just 22 mandates behind it and lasted only 14 months.